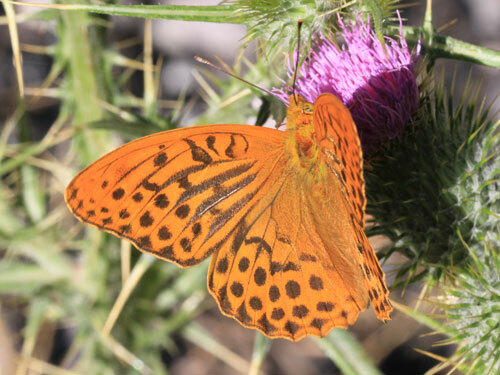 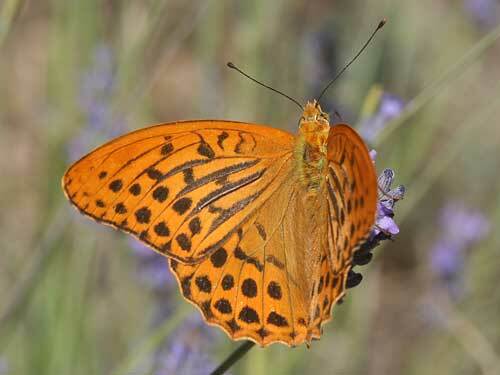 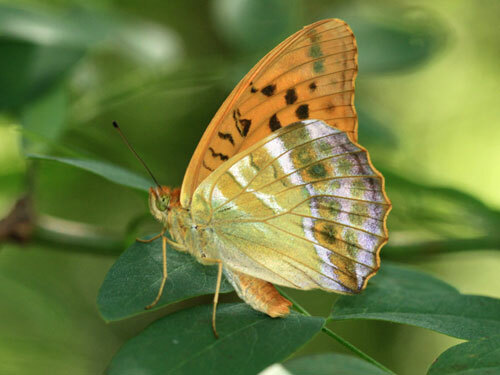 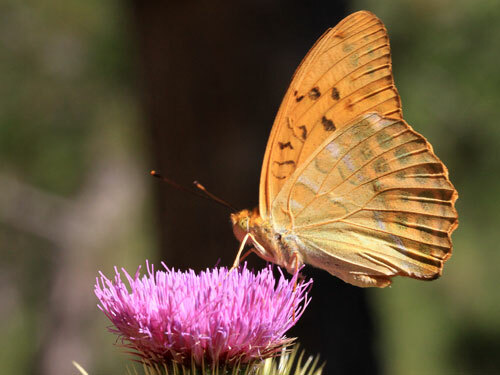 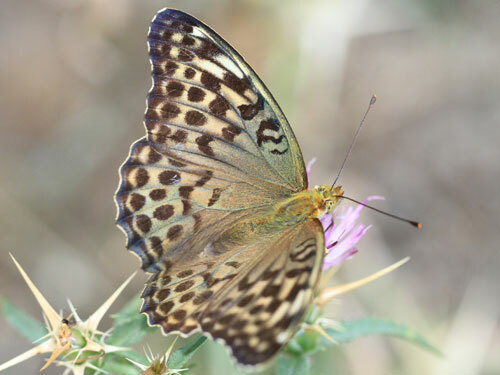 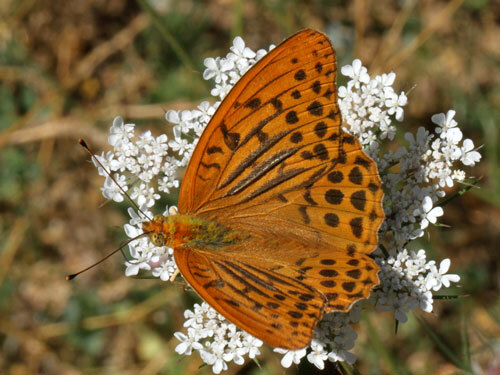 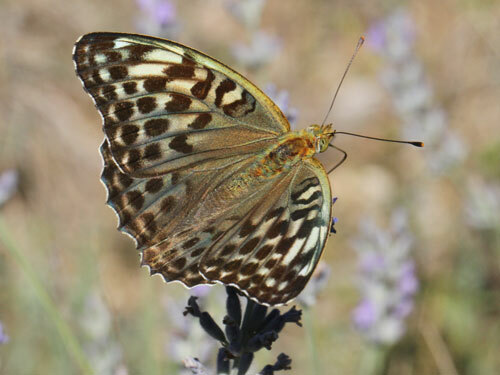 A large species of fritillary, frequenting flowery woodland clearings in high summer. 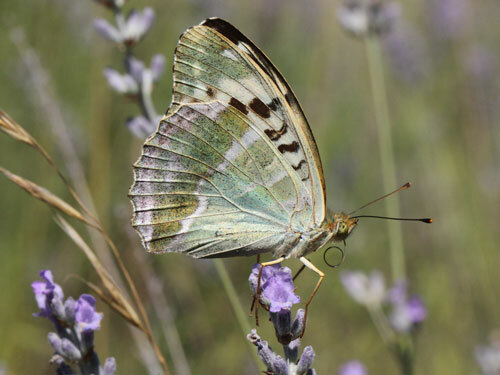 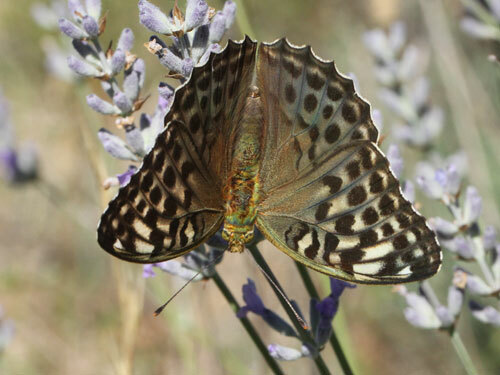 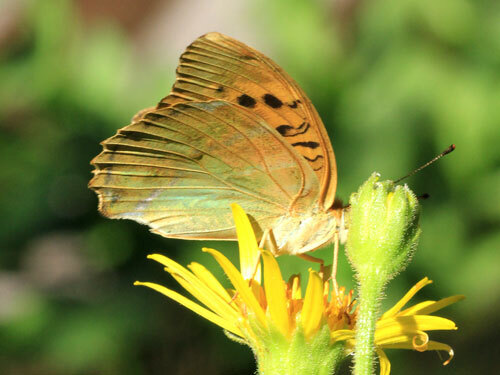 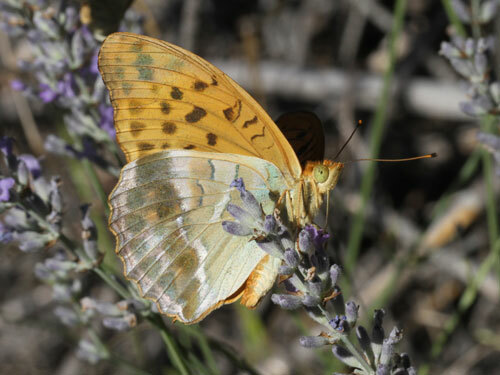 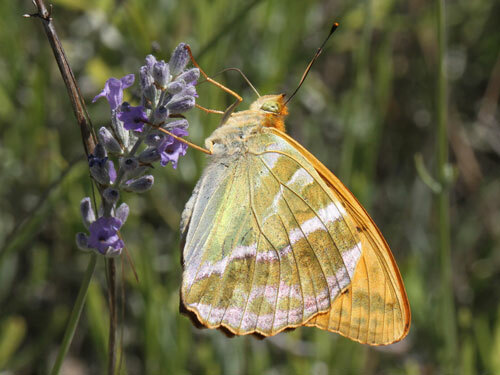 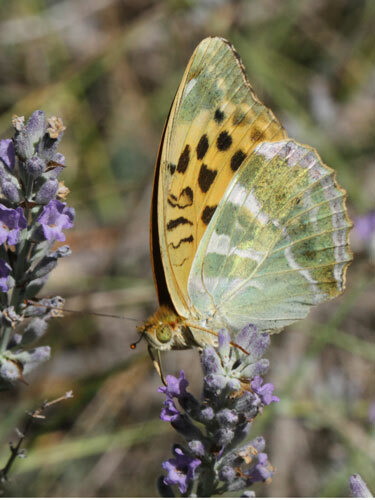 Identification & Similar species: The pale green underside has a distinctive silvery reflection. 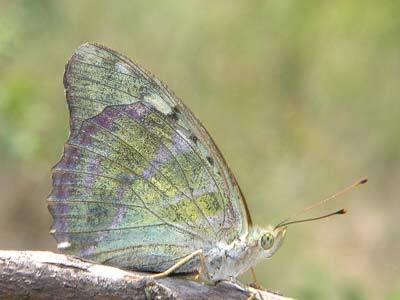 Similar to the cardinal A. pandora but lacks the intense pink underside forewing and the grey-green upperside shading. 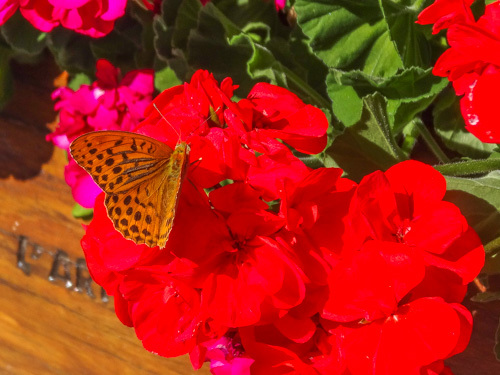 Distribution & Flight: Northern half of Spain to the UK (sporadic) and eastwards across all Europe except northern Scandinavia. 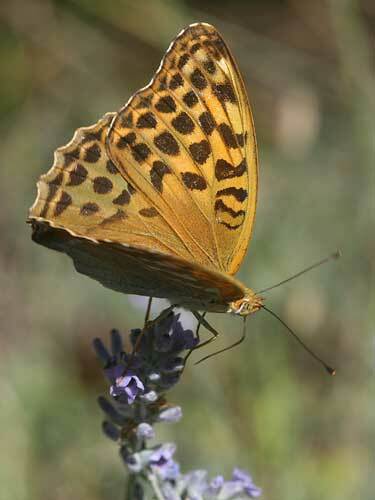 Single brooded flying from June to September, more usually July and August. 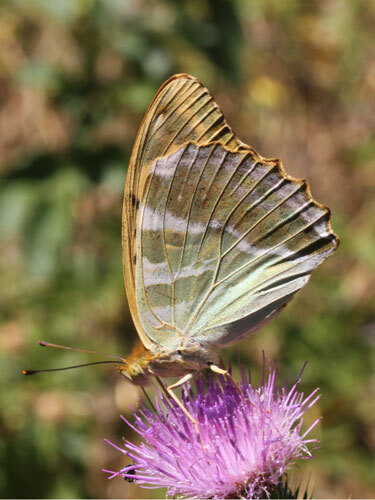 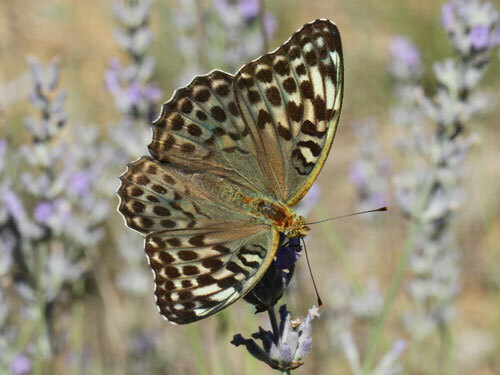 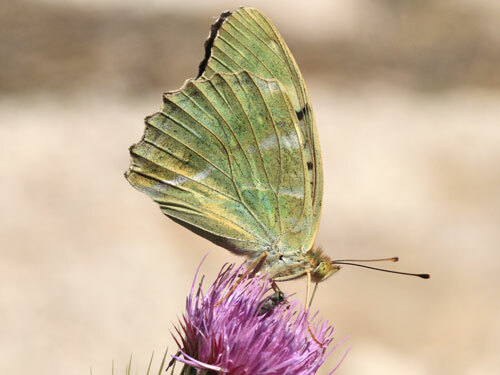 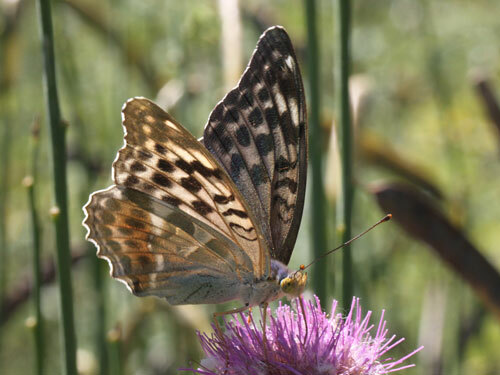 Habitat & Behaviour: It flies in mature woodlands stopping regularly at nectar sources, particularly bramble and purple flowers such as thistles and knapweeds. 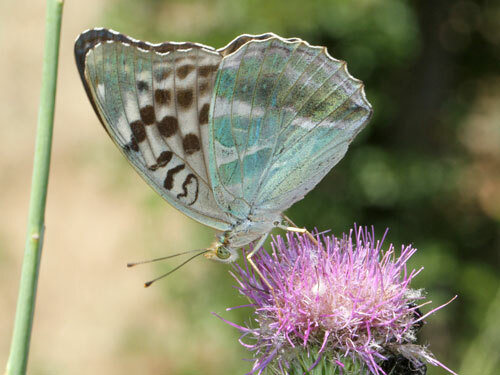 Variation: The form valezina is regionally variable in abundance. 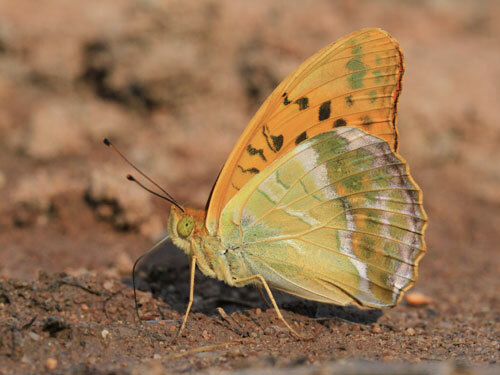 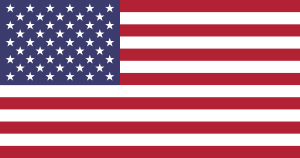 It affects only females in which the upperside orange is replaced by a dusky grey-green.